The Magneta USUPT8/16 is a galvanized Paddle Board Trailer that carries 4 SUP Boards on their bottoms or 8 SUP boards if double stacked two per carry arm. Can carry SUP boards that are 6' to 13' long. The 2 vertical uprights are 30" tall and hold (4) 60" long carry arms that include tie down lugs. 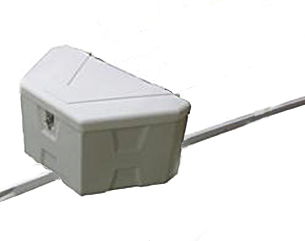 Trailer comes pre-wired with US DOT approved submersible tail lights and orange side marker lights. 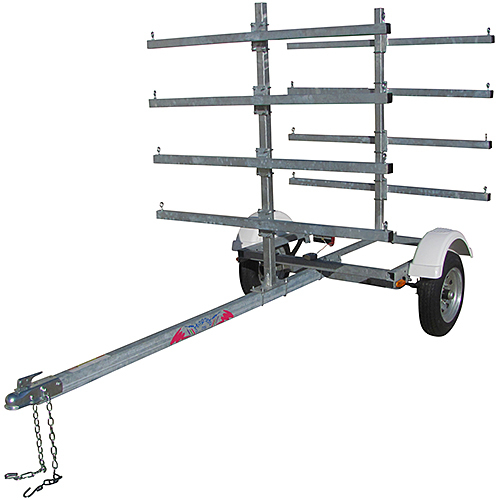 The heavy-duty galvanized frame provides for years of reliable service. 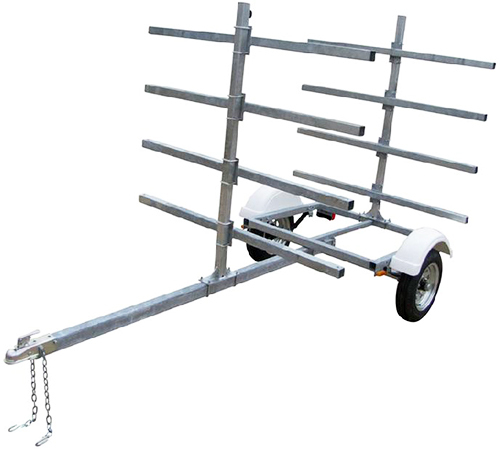 The Magneta USUPT8/16 Paddle Board Trailer ships unassembled via truck freight (semi).